The A England Burne-Jones Dream is the latest addition to the brand's reverie into fantasy, painting and history, inspired by Sir Edward Burne-Jones "The Briar Rose" artwork series over "The Sleeping Beauty" Charles Perrault fairy tale and that specific moment where the brave prince having battled through the Briar Wood, first comes upon the bewitched court and the princess he is to awake with a kiss. About the tangle of the rose. 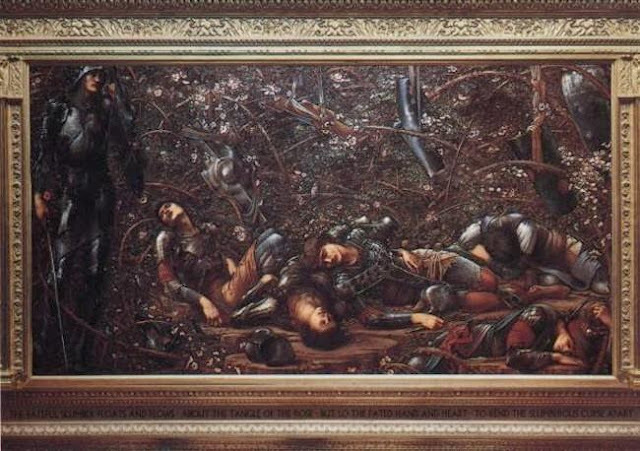 To rend the slumberous curse apart." 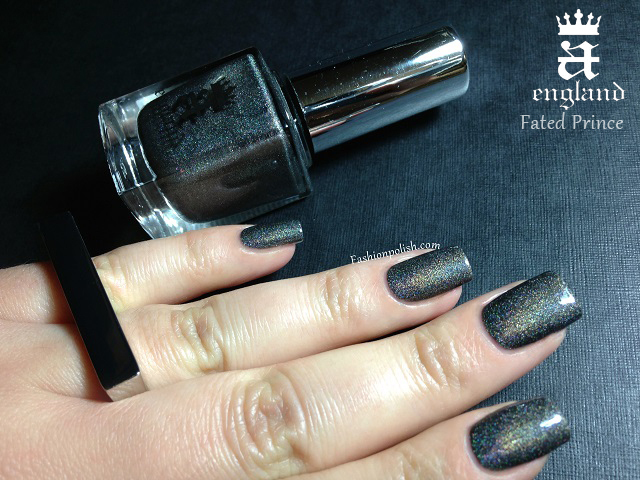 Fated Prince is a dark olive-tones grey with a smooth linear holographic effect. 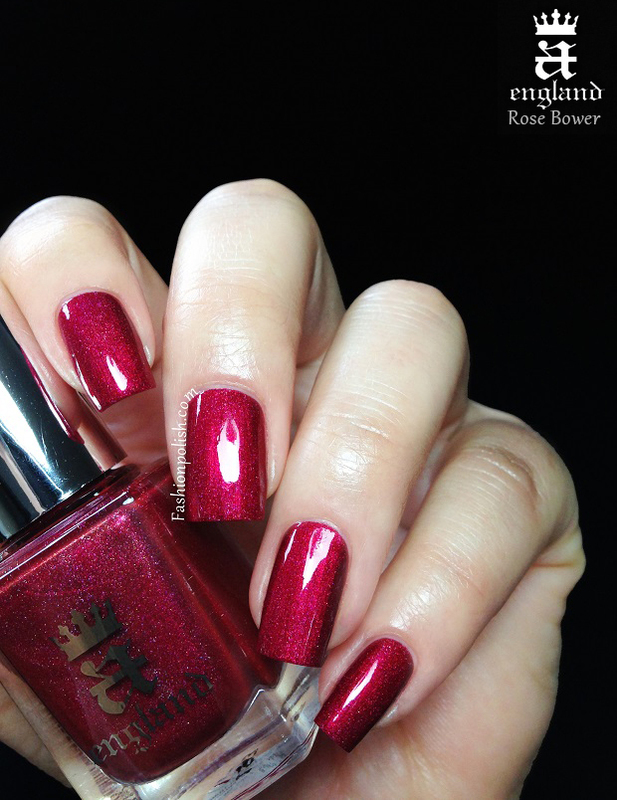 It's such a deep and complex shade, a truly perfect addition to the A England range! Formula was particularly flawless, no aqua base or patchiness issue here, just a smooth and easy two-coater. 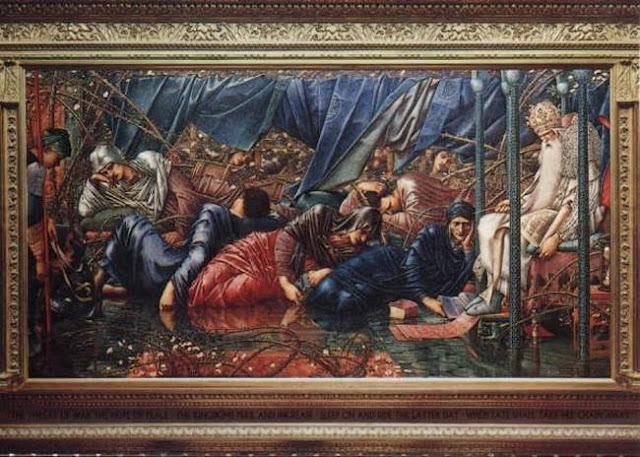 The Kingdom's peril and increase. When fate shall take her chains away." 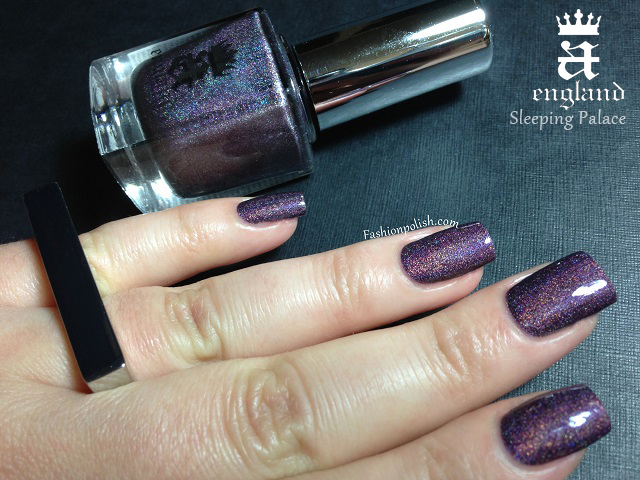 Sleeping Palace is a dusty plum purple with a smooth linear holographic effect. As much as I love Fated Prince and believe I LOVE it, I honestly thought that this one would come second but it's just so spectacular in person that it stole the first place! Formula was just as outsanding an easy to apply, only even more pigmented and barely required a second coat. I used 2 coats here for swatching purposes but I'll definitely be using one for "real life". The restless shuttle lieth still." 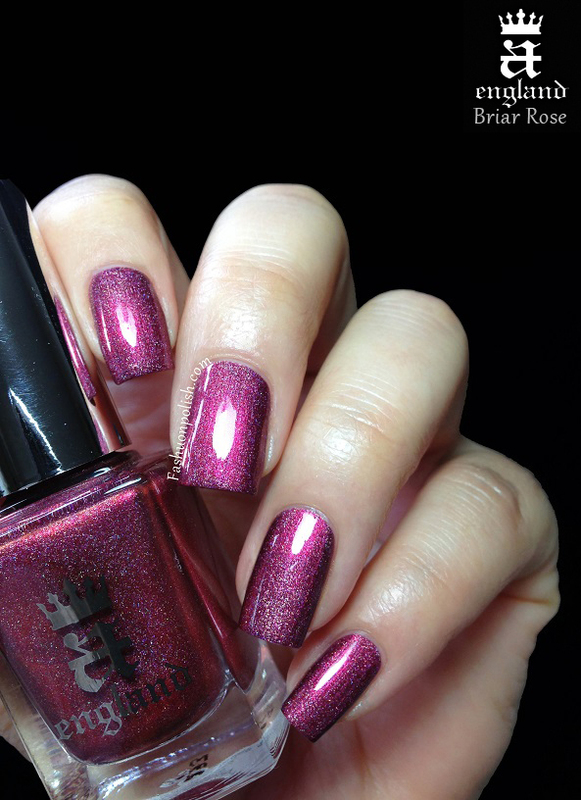 Briar Rose is a medium antique red toned pink leaning cranberry with, as well, a smooth linear holographic effect. I can't think of anything like it in my stash and if you're a cool toned holo lover, you certainly won't want to miss on this one. 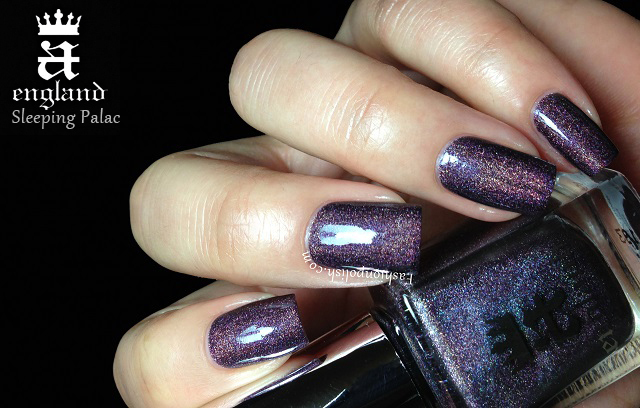 Stellar formula, again, and the easiest application ever, this is two coats plus topcoat. To all the treasure that shall be. 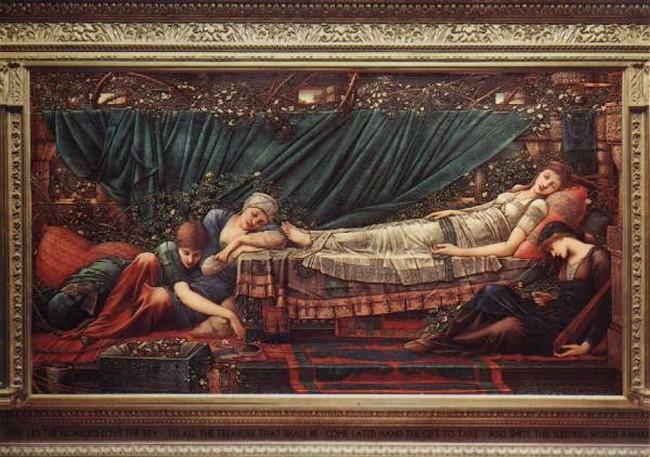 And smite the sleeping world awake." 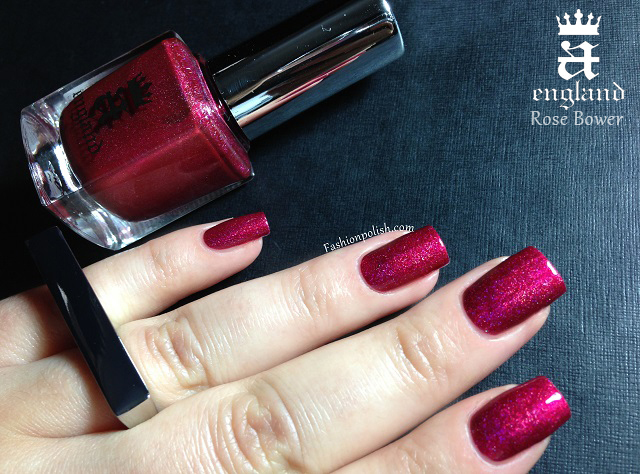 Rose Bower is a deep pink toned red with a faint scattered holographic effect. 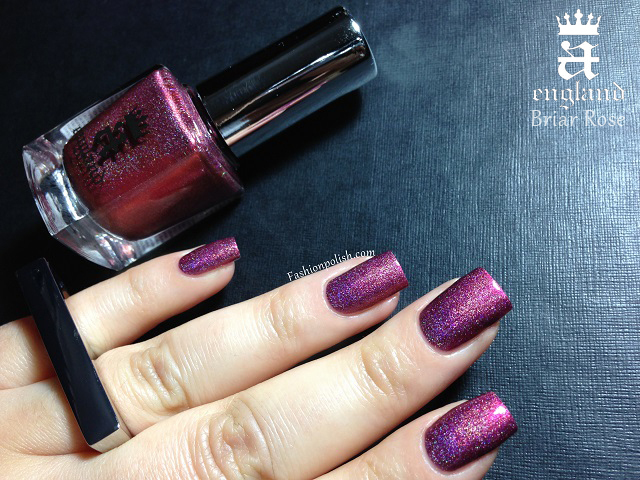 It's the least holo shade in this collection but definitely the brightest and one that I strongly recommend as well. I mean just look how seriously intense it is! Perfect application and formula, two easy, opaque, saturated, self-leveling, coats here as well. While one might think that there can't be that many colors left to explore in the Tristam /Lady of the Lake / Dragon / Saint Georges / ... A England type of holos, this collection just proves otherwise. I completely love the complexity and sophistication behind each of Adina's creations and obviously the impeccable formula never fails to impress. 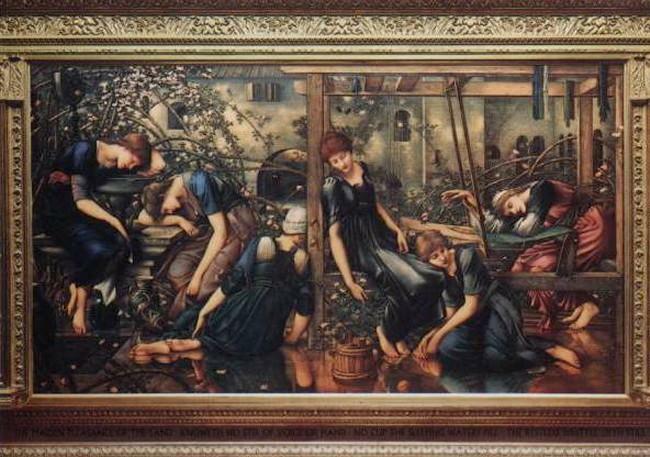 The A England Burne-Jones Dream Collection is available for purchase within UK directly on a-england.co.uk (£9 each) but also worldwide through the brand's online retailers (full list here). A fifth shade, Briarwood, has been delayed for now but will also join the collection really soon.